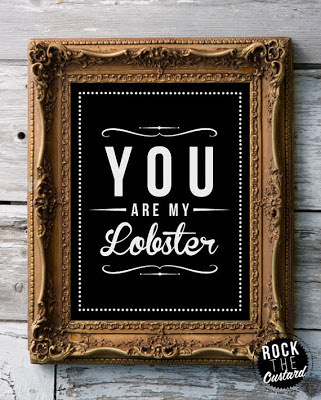 Babblings of a Mommy: Cool Finds: You're My Lobster. 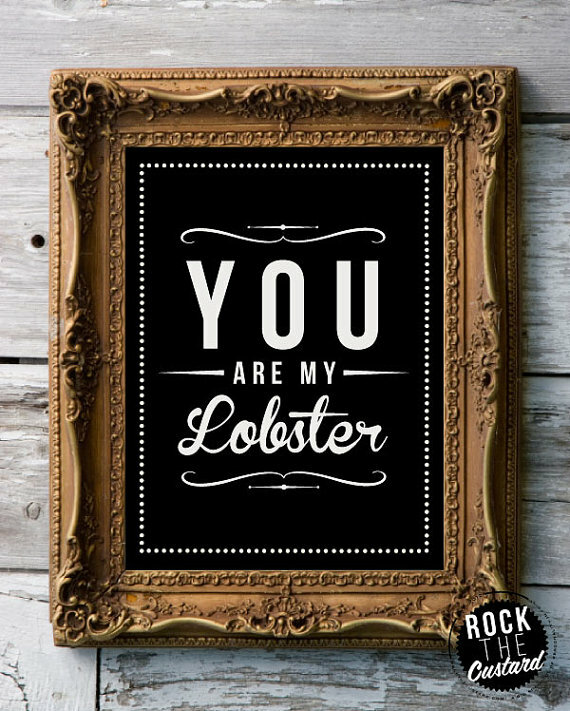 Cool Finds: You're My Lobster. Ah, the season of love. The time when even the harshest love cynics become hopeless romantics. I for one believe in soul mates and finding your other half, so this "You're My Lobster" print I found on Etsy really pulled on my heartstrings. 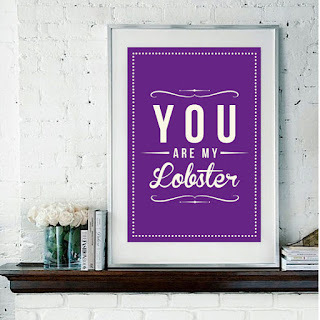 If you have no idea what lobsters have to do with love - it's from an episodes of Friends. How many times did you circle and lock your fingers and thumbs together to demonstrate the holding of the claws?? lol It was the first thing I did! LOL! I love that episode.